Running a tree service business or any business is rewarding and lucrative when done the right way. Many tree service companies still rely on traditional advertising methods such as billboards, TV, radio, and newspaper advertisements. This isn't the best way to take your business to the next level. 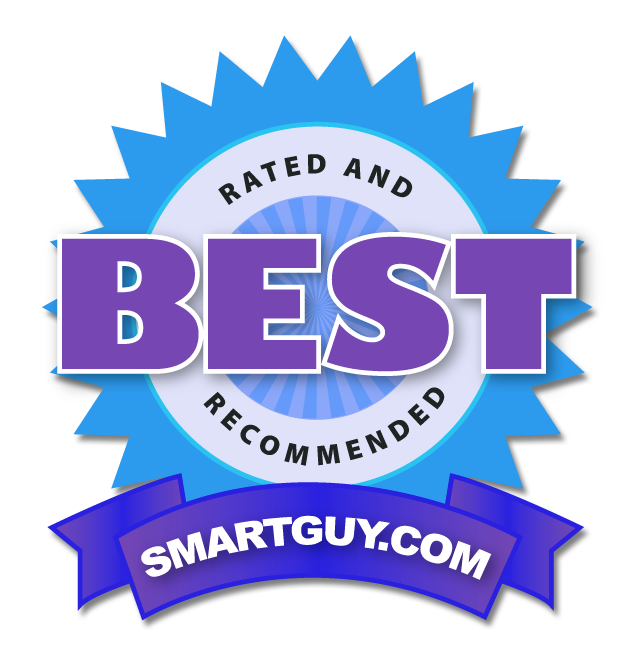 The internet has revolutionized the way people buy products and services today. If your tree service company doesn't take advantage of digital marketing, you are losing customers and money in the process. That's where SEO for your tree service comes in handy. Here are the benefits of SEO for your tree service company. Google has a massive effect on the success or failure of your tree service business. If you don't have an online presence, your competition will take advantage of the situation. They will ethically steal your clients and profits over time. That's why you should be implementing an effective search engine optimization strategy for your business without delay. A good SEO marketing campaign can improve the rankings of your website. A website that ranks on the first 5 positions of Google gets more than 95% of the total traffic that searches for your business. If your company isn't among the top 5 positions on Google, you are literally leaving money on the table. That's why you need to devise an effective SEO company to launch campaign for your tree service company. The latest research shows that people search the internet before buying a product or service these days. They check various review sites to know about the company they plan to do business with. If your business isn't mentioned when they search for such information, they will choose your competition instead of you. SEO builds the online reputation of your business. Customers prefer to do business with a company that ranks on the first page of Google compared to a site ranking on the second or third pages. Hence, SEO is one of the best ways to build the credibility of your brand. 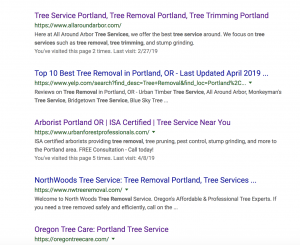 Make sure you work with a trusted SEO agency in the area to devise an effective search engine marketing strategy for your tree service company. We recently launched Portland based R&H Tree Service web design and SEO campaign. Optimizing your website in all possible ways is important for the success of your tree service business. At Forza Digital Marketing we make sure all of our clients websites are SEO integrated. The first thing is to have a responsive and mobile-optimized website. If your website is not responsive or mobile-optimized, you will lose more than 60% of your potential customers. Provide quality content to your visitors. Quality content is crucial to the success of your online presence over time. The visitor will stay longer on your site when you provide them with quality content. This will decrease the bounce rates and improve your rankings over time. On the other hand, you should consider the loading times of the site. Sites that are slow to load won't rank on the top positions of Google because they negatively affect the user experience. That's why you need to pay close attention to the loading times of the site. When your site loads faster, it will improve the user experience and rank higher in Google SERPs. You get more traffic, conversions, and profits when your website ranks on the top positions of Google. Implementing an effective search engine marketing campaign should be done by a professional SEO agency. SEO isn't the best DIY project for a business without any experience on the subject. SEO changes quite rapidly. You should work with a reliable agency that employs SEO professionals who are up-to-date with the latest trends in the search engine optimization industry. Check the reputation, experience, credentials, case studies, and customer feedback before you choose the best SEO agency for your tree service company.